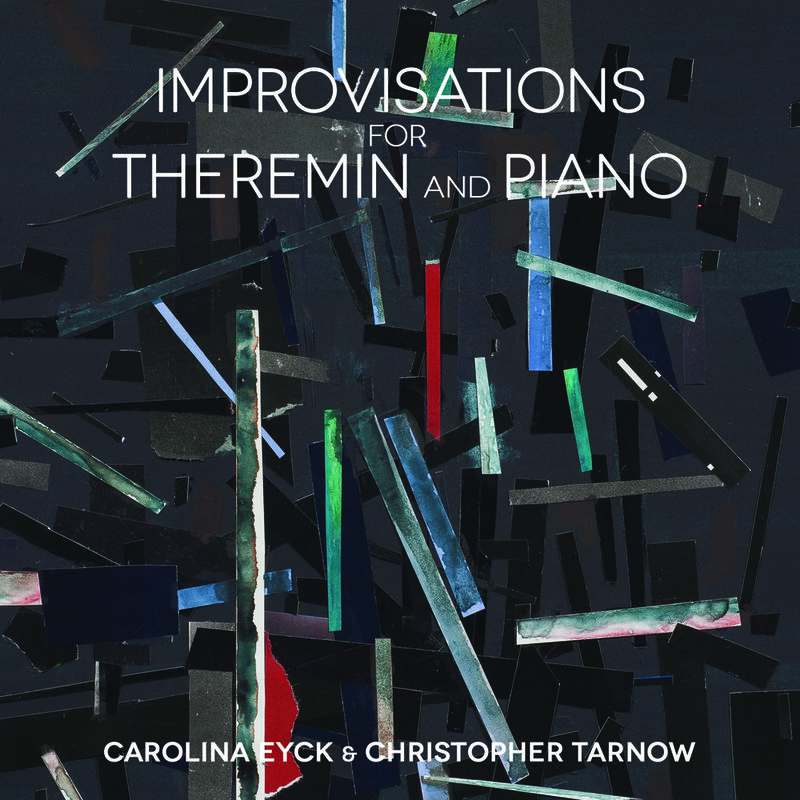 An album as unique as it is hauntingly beautiful, this collection of improvised pieces by theremin prodigy Carolina Eyck and fellow Leipzig-based pianist Christopher Tarnow is the only album of its kind. Recorded in close collaboration with producer Allen Farmelo, these tracks truly challenge the accepted rules of any genre. 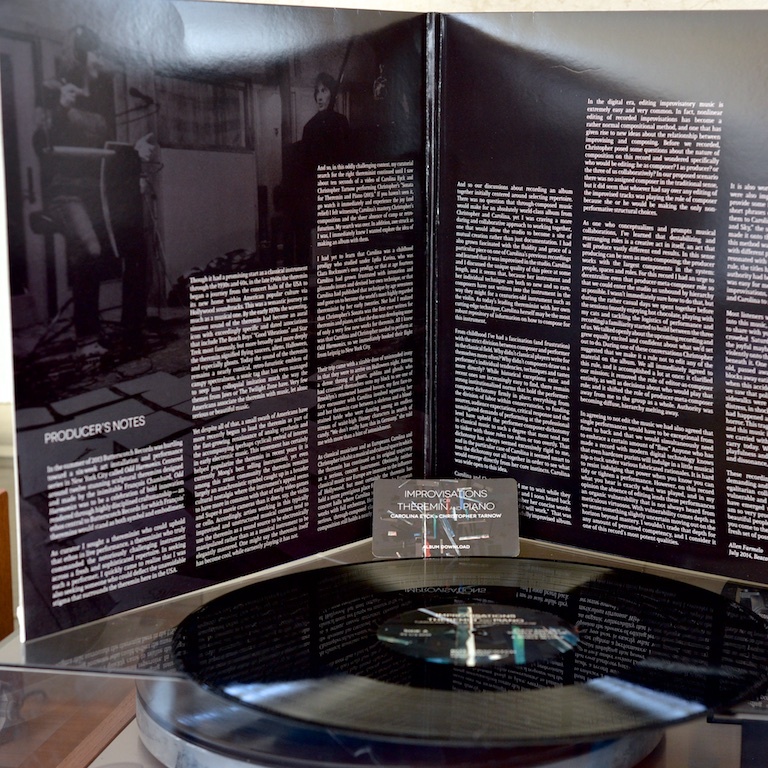 The music carries the harmonic sophistication of classical, the quasi-atonal sensibilities of Coltrane and an unexpected sense of wonder and play. Yet there is a darkness that lurks between the notes, a haunted sensibility informed by the production team’s near miss of a lethal pedestrian-car accident that killed a young boy just days before the sessions. It’s a feeling they couldn’t shake, and it lingers in the music, adding depth and power to Eyck and Tarnow’s virtuosic command of their instruments. Eyck studied Theremin from the young age of 7 with Lydia Kavina, who developed the early technique with the now legendary student of Leon Theremin himself, Clara Rockmore. By age 14 Eyck had developed her own technique, which she published at age 17 in one of the most influential instruction books on the instrument, The Art of Playing the Theremin. Her technique is generally regarded as the most advanced in the world. Farmelo’s Producer’s Notes provide both context for the theremin itself as well as insight into the way this team intentionally broke down the roles of composer, instrumentalist and producer in order to arrive at an egalitarian collaboration that would result in music borne directly from Eyck’s own instinctual sense of her unique instrument. Rarely does one hear a performer from within the classical tradition play with such expressive freedom, and the team decided to leave all the music unedited in order to preserve that quality. The broader goals of this album are to help free the theremin from the confines of stereotypes built up through Hollywood’s sci-fi and horror soundtracks, as well as through the more recent adoption of the instrument into the noisier side of electronic music. Improvisations for Theremin and Piano presents the instrument’s most virtuosic performer in an exceptionally candid and heartfelt recording. Cover — "Log Cabin" by Tomory Dodge.